Need some thick-sounding pads for your production? You probably have a favourite synth ready to go this very moment, but in case you are in the mood to try something new, here’s a cool freebie that just popped up – Palette by Flintpope. Palette is inspired by paintboxes, of all things inspirational, and features eight coloured rectangles. Each colour triggers a sample – eight of them, selected for basically being a cool-sounding pad. They can be mixed into combinations with up to 64 sound variations possible. Each pad has dedicated Gain and Pan controls, while Master controls include Attack, Release, and Master volumes. An assignable LFO is available for modulation, with controls for Rate, Depth, Waveform, Destination and Source. 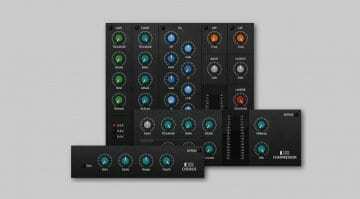 Being a sampler at heart, Palette also has three voice modes (mono, stereo, legato), Glide dial, a 2-option Filter with a Cutoff dial, and three effects – vinyl, reverb, and pitch-shifting. Plenty of tools to have a good ol’ time with! 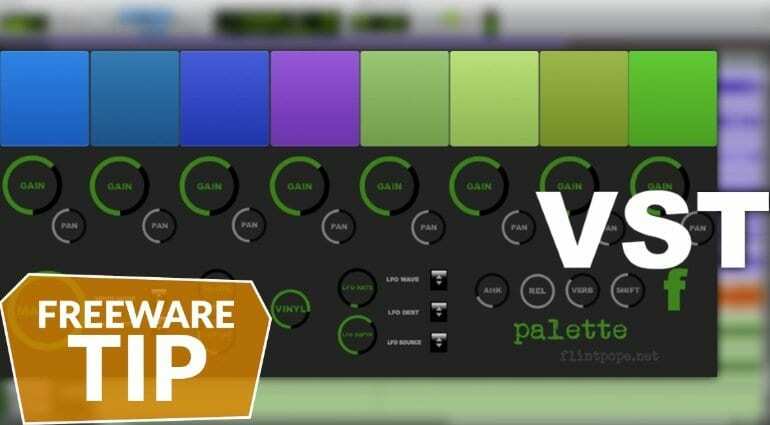 We liked the sounds from Palette – they are thick and crunchy, as expected from a freeware plug-in that hasn’t been polished to perfection by a team of tens of people. 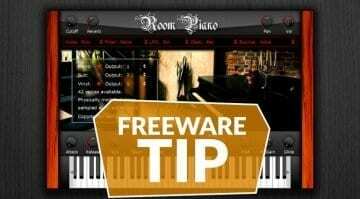 You can take them further along with additional processing from your favourite effects, or layer them with sounds and samples from other sources. Like anything else, Palette is a useful tool that requires the right approach. 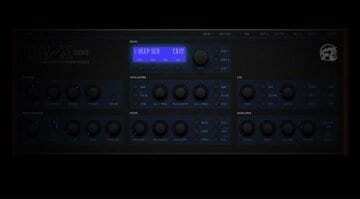 So you better not “judge” this plug-in by the interface or price! Palette is available in 32 and 64-bit VST and AU formats for Windows and Mac computers. 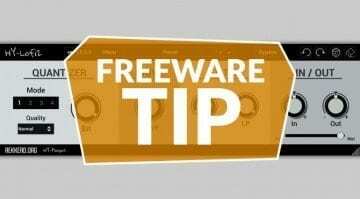 The plug-in is free, though the developer welcomes donations – which means, put in anything that isn’t zero in the price box if you feel like it. You can also become a Patreon for Flintpope, paying as little as a dollar a month to support his development efforts. is a FREE polyphonic rompler with 12 samples taken from Flintpope’s Reaktor Soundscaper, to give you a flavour of the latter instrument. Soundscaper is aimed at sound-designers and in the Reaktor version there are 254 samples, 96 presets and a staggering 16000 possible combinations of sounds.